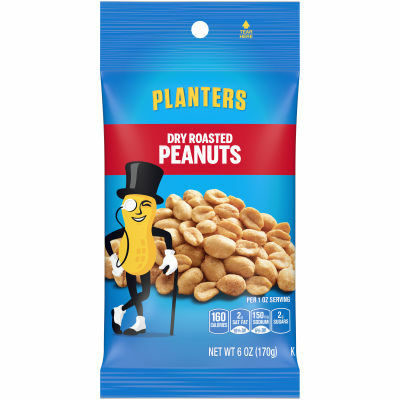 Planters Dry Roasted Peanuts are roasted without oil for a healthier snack alternative. Each nut is enhanced with a sprinkle of sea salt to give you that rich, nutty flavor you crave. This 6 oz. bag is perfect for low-calorie, mid-day snacking while you're on the go - add them to your salad or enjoy them on their own, either way you'll love them.